First widescreen display based on near industry standard Series 1 products. Hatteland Display has started the rollout of the brand new 27" Series 1 widescreen display. The JH 27T11 has completed and passed all EN 60945 / E10 tests and has Type Approval pending, making it suitable for a range of operational applications. The new display is now ready to order, providing system integrators with a unique option for the design of new solutions that require reliable, functional and clear widescreen displays. The new widescreen, which is one of the first marine specific displays of its type to market, utilises a high end LCD, offering 1000:1 in contrast and 500cd/m2 brightness. This in combination with Hatteland Display's optical bonding, which is available as an option, ensures that the JH 27T11 offers an incredibly clear, bright and high contrast picture, making it more than suitable for a variety of critical applications. "We are ready to start deliveries into any suitable applications, such as ECDIS, radar, conning and automation," said Lars Eriksen, Vice President, Sales & Marketing, Hatteland Display. "It is also compliant and made ready for our new color calibration system, which means that we can deliver it directly as an ECDIS display, or simplify calibration after delivery to the customer." The JH 27T11 includes all the benefits of the redesigned Series 1 family. All MMD widescreens are delivered with AC input as standard, and feature future support for combined AC and DC power input built in, ensuring that they are compatible with all power systems on all vessels. These models will automatically switch to whatever power is connected, making them highly flexible for shipbuilders and system integrators alike. As with all Hatteland Display screens, connections are numerous, with the JH 27T11 including DVI-I in, RGB out, RGB in, IEC inlet, IEC outlet and USB I/O. 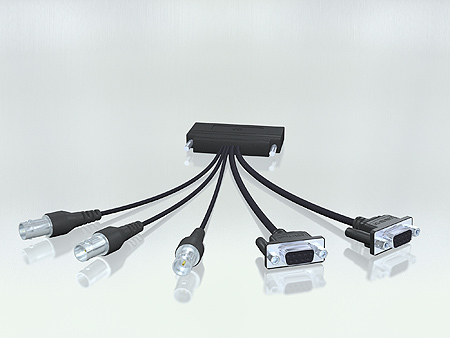 Signal input/output options can be increased upon request by using the HATTELAND® Multifunctional I/O connector, which allows the connection of many common signal types through a single cable connection, for common signals such as; Composite Video Input, Touch Screen and Serial Communication. Visit www.hatteland-display.com to find out more about the new 27" widescreen display and the company's full range of marine displays, computers and panel computers. Hatteland Display products can be found throughout SMM including on the Transas stand, Hall B6, Booth 231. Hatteland Display manufactures high quality marine monitors and computers. Its products are used by system integrators and can be found on all vessel types, all over the world. The company prides itself on quality, and boasts multiple Type Approvals across all of its products.